"Choose life." That's God's call for us, and there is not a moment in which we do not have to make that choice. Life and death are always before us. In our imaginations, our thoughts, our words, our gestures, our actions ... even in our nonactions. This choice for life starts in a deep interior place. Underneath very life-affirming behaviour I can still harbour death-thoughts and death-feelings. The most important question is not "Do I kill?" but "Do I carry a blessing in my heart or a curse?" The bullet that kills is only the final instrument of the hatred that began being nurtured in the heart long before the gun was picked up. 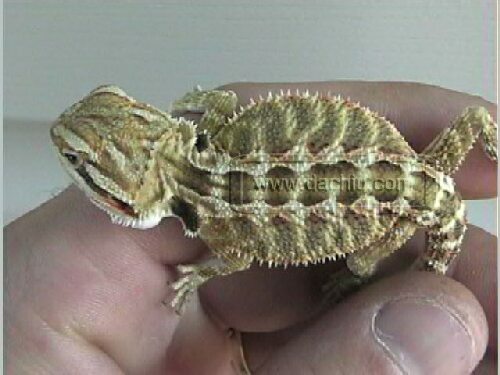 Today I went with Rikkell and her Dad through our neighborhood to find a pet store for her pet lizzard... a Bearded Dragon. I did not know you could buy in our neighborhood a dozen live crickets for $1.00. We also took the opportunity to check out the rest of the neighborhood. Rikkell and her Dad arrived in LA today. Rikkell has just relocated to LA from Wisconson to work with InnerChange for a year. She will be roomates with Melanie who is also joining us this year. I wonder what God has in this for all of us. Here is my play list for my Kill Radio show. I will be asking the soul searching question am I my brother's keeper??? If you want an interesting discussion with friends... watch the movie Rear Window and ask the Question??? I also burn copies of my shows for some of my friends and neighbors. Let me know if you would like a copy. I want to make it clear that I am a Christian and that Kill radio is a Collective... and not part of any Church community... it is too anarchist for that. If any of you are salt and light... get that salt out of the salt shaker... and that light from under a basket... (Matthew 5). I do this show every Tues. on the Internet from 11am to 1pm. Tune in. Look for future play lists here. This is an email sent to us by a friend working as a health care professional in Iraq. Just a quick e-mail to let you know (although you've probably already heard the news), that the United Nations Headquarters here in Baghdad has been the scene of a major bomb blast. Many have been killed and score wounded with many staff still trapped inside the collapsed building. Our organization's office and home is about 10 minutes from the UN facility, so we felt the explosion but didn't think about it too much as bomb blasts and the sound of shots being fired are daily occurences here in Iraq, that you learn to live with. Anyway, I am safe ... and wanted to send a quick e-mail to let you all know that. I was supposed to visit the UN HQ this afternoon to meet with a couple of representatives there, but decided to make the visit tomorrow morning instead ... scary thought in hindsight. Ambulance helicopters and military planes are abundant in the skies overhead. Not sure what will happen in terms of expat staff being evacuated should the situation be deemed too insecure for the continuation of activities in the country. I'll keep you all posted with any updates. Thanks for your prayers. And please pray for those who are badly injured and others who are still trapped inside the UN building. Hiddenness is an essential quality of the spiritual life. Solitude, silence, quiet, ordinary tasks, being with people without great agendas, sleeping, eating, working, playing … all of that without being different from others, that is the life that Jesus lived and the life he asks us to live. It is in hiddenness that we, like Jesus, can increase "in wisdom, in stature, and in favor with God and with people" (Luke 2:51). It is in hiddenness that we can find a true intimacy with God and a true love for people. Even during his active ministry, Jesus continued to return to hidden places to be with God alone. If we don't have a hidden life with God, our public life for God cannot bear fruit. Today two young friends came by to visit. They were bored. They were interested in being entertained. I was glad to be a friend, but not an entertainment unit. When I told them that I wanted to go exploring Korea town with them; they were uncertain if that is what they wanted to do. When they kept on for over a half an hour canceling out each-others ideas for what we could do; frustrated, I decided to go on my own. I Ran into another young friend named Glen and he was really grateful for a chance to get out of the house. We had a great time together. We got to watch some semi-pro skate boarders. We checked out a place set up for Karaoke… played a few video games at an arcade and split a box of Mcnuggets (my one fast food weakness). I get to be a “Big Brother” for a number of teens in our neighborhood. Too many absent fathers in this neighborhood. I'm in Taiwan. Teaching English at a little school. friends and they help to keep me on the right track. you. God bless you in the work that you do. Today Pam, Darren and their little one Jesse came to visit. Check out Darren's musings about life and more on thier web site...(see links). Great to see you all doing so well. Today I had the privelge of bringing Alberto and Clelia, who want to plant a church in this area together with other friends (Walter & Tonya) who are looking for a church. A Bible study will start next Wed. and the great part is that I do not have to lead it. Thank you for every prayer for us offered. Lights Out in New York!!! What??? Big city Big Lights??? Well I hope we can learn humility befor we develope some real problems. Today was a day of rest for me. Wed. is my scheduled day off... I was sad for a good part of it. I am not use to Jude having to work most of our day off... I am angry that we live in a world where young people that I knew have gotten shot and killed... I am tired of the role of offeing comfort... I want more than justice... I want a new heaven and a new earth... Dont' you??? "Thy kingdom come Thy will be done on earth as it is in heaven". I am thankful for the day off. I with Randa's help just finished the initial physical set up of the office. I am sure everything will get rearranged. Friday I had the privelege of sharing in Judes class on "Mission and self-care" from first hand experience what Trama and Post-traumatic Stress Sydrome is like. Hopefully others will bennefit from what I went through...this feels good...if we suffer in life it is easier to deal with when the suffering is meaningful. I am in many ways out of the woods with htis now... but the experience still leaves me with certain vulnerability on one hand and sensitivity with understanding on the other. We also have been reflecting on the contridiction of teaching a class of this nature as a two week intensive. At some point people are just over-saturated and can not take anymore in... Jude will be pushing through this week...and so it goes. Yesterday was about moving furniture for our new InnerChange office. Pual, Randa, Joe, Angel, and sweated through the heat to move 2 filing cabinets, a large conference table, Lots of chairs, 3 desks, 8 free standing deviders and more. Thank you Bob for your generous gift to us. This will help us in the process of setting up the InnerChange Office. If anyone is interested in a wish list??? just email me... and in this season we are facing new financial needs too... "God's Work done God's Way Won't Lack God's Supply" Hudson Taylor. This is a Big Shout out To Boy1 and Laura who announced to LA Street Productions last night that they just got engaged. I am glad that the two of you found each other. Love each other and keep the faith... I look forward to witnessing your journey together. I am over at Chris Aguilar's house. His band has just gone through a tragic loss yet they are still trying to do the rock band thing anyway. Thought some of you would say a prayer for them and others of you might check out their web site... dreams are both frigile and are a big part of what life is about. noci-influence still keeping their dreams alive. Well I wasted part of this afternoon. Can't be focussed all the time... but I can do better than chosing to distract myself. Grace sometimes comes in the form of friends showing up in our lives. Werner Pastran came in to check his email and just his presence reminded me that I had not come here with the intent to play an internet game. He did not ask what are you up to... I would have felt that feeling we feel when we recognize that we have been procrastinating. And so it goes. Now to get back to work. I love the fact that my mom leaves coments on my blog...bu I really wish that you others would as well... maybe I need to say some more open ended stuff. Dennis, Lucy, and their daughter Gabby came out to LA from NJ and I had the privelege of showing them arround a little bit in LA. Their daughter Gabby has the stongest sense of being herself that I've ever seen in an 8 year old girl... and knows more about different dogs than I could have imagined an 8 year old knowing. I went to get my haircut. I’ve been encouraging my Barbour in her relationship with God over the last few years. We chatted for a bit but I noticed that she wasn’t her normal cheerful self. Finally I discovered that her brother died. Between tears, conversation, prayers, and I believe God given consolation – 2 hours latter my hair was cut. We were graced with this time without interruption. Getting a hair cut can be a place for God’s love to grow in our hearts. Whenever God’s love grows in our hearts – the ministry of the Holy Spirit is there. I had the privilege of spending several hours with Mr. Barrajas. We took the Gold line together to Pasadena...we had coffee at one of my favorite coffee shops called "Buster's". I showed him where we can buy bread directly from the Oro Wheat outlet in Pasadena. We also signed up for the privilege of using the South Pasadena library (which let's people check out books for 3 weeks at a time). He taught me some Spanish including a way not to confuse the grammatical order of adjectives and what they describe in Spanish. “The White House” in Spanish is “La Casa Blanca” and reminds me of the movie of the same title : ) !!! I was able to encourage his faith in God… and he helped me understand a little better the realities that divide people in this neighborhood. And so it goes. Jesus, Jose, and I went to play miniature golf in South Pasadena. Jose won this time. Jesus won last time. We ate at McDonalds afterwards. Jesus brought an old KRS One CD knowing that I like his music a lot better than Nelly and many other “WACK” Rappers. Saturday we joined a good bye celebration for Scott Chamberline; he has faithfully served as pastor of Central City community church of the Nazerene. One of the few churches that serves to nurture Christian Community in skid row. This next two weeks Jude, will be teaching an intensive on Self-care and Mission at Fuller Seminary.